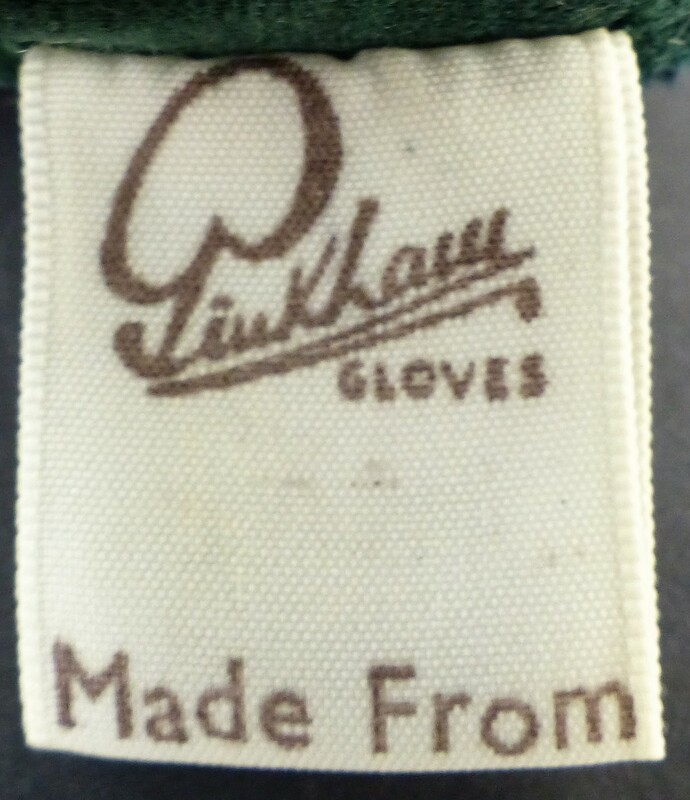 From the 1950s/60s this turquoise coloured glove sleeve was discovered in Australia and it is believed that this colour may have been used for export gloves only. 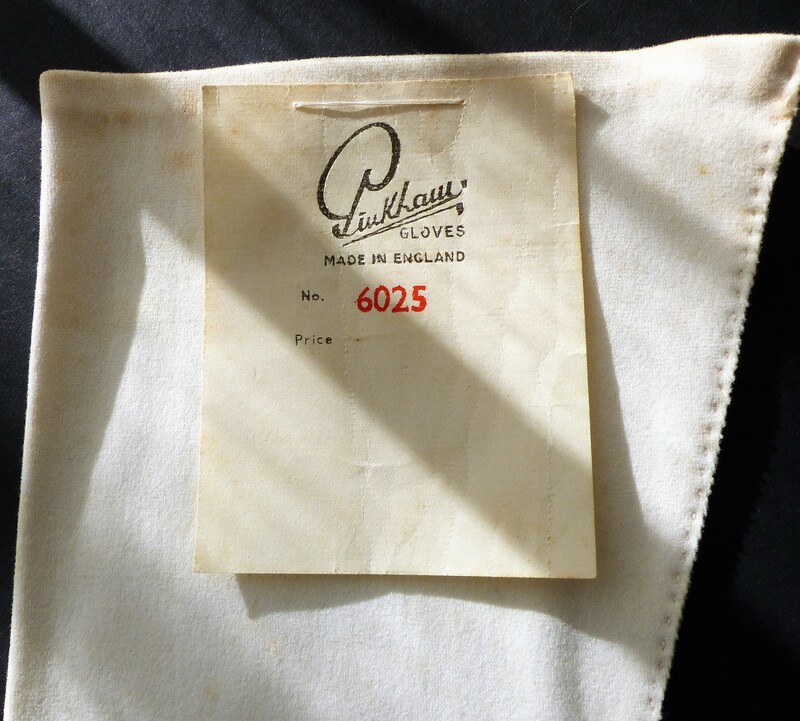 Fabric and cotton lined leather gloves had a fabric label sewn into the inner seem of one of the pair. 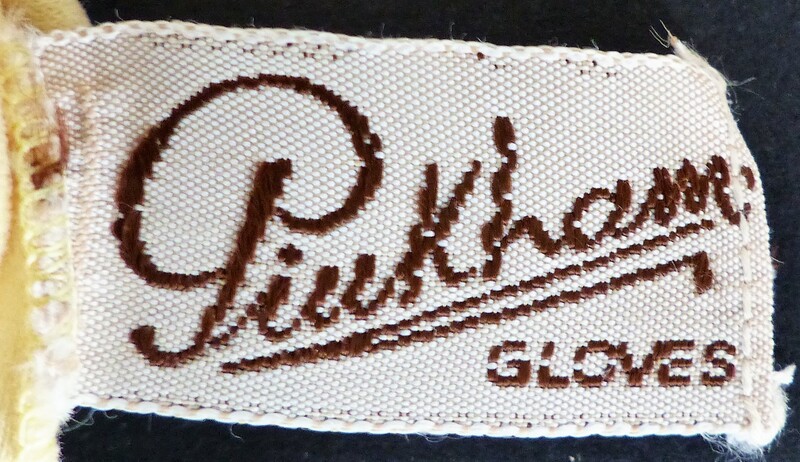 With unlined leather gloves and some fabric gloves the Pinkham logo and glove sizes were printed on the inner palm of one of the pair. 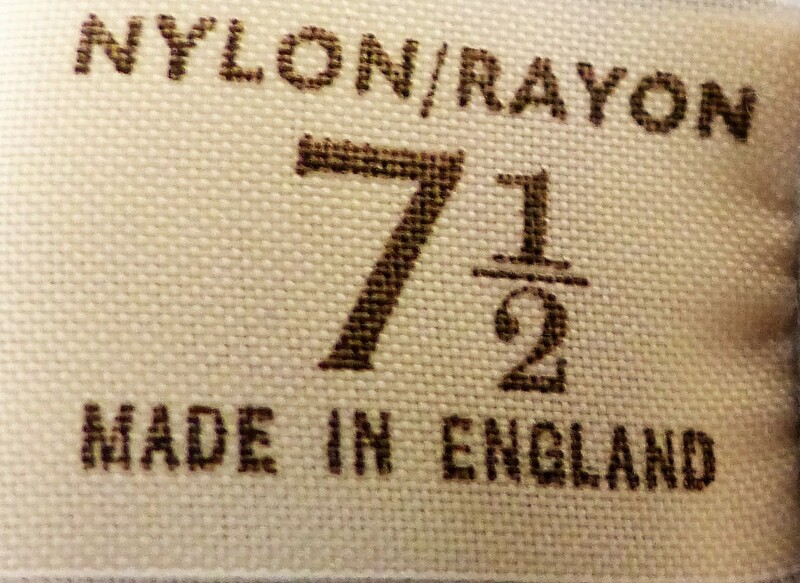 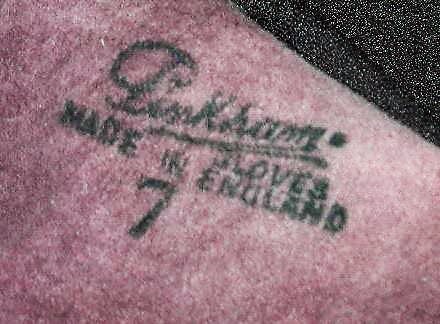 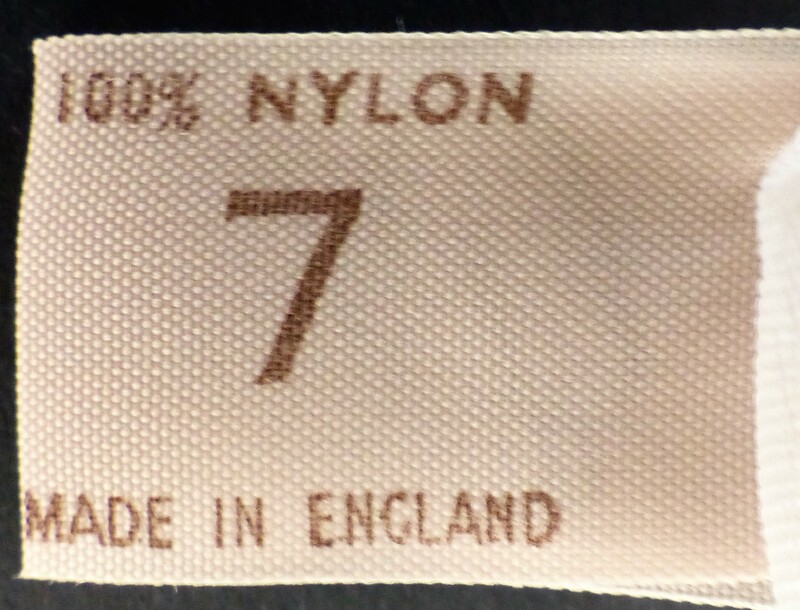 In addition to 'Made in England' appearing on all the labels, labels would show the glove size and in some cases the type of fabric. 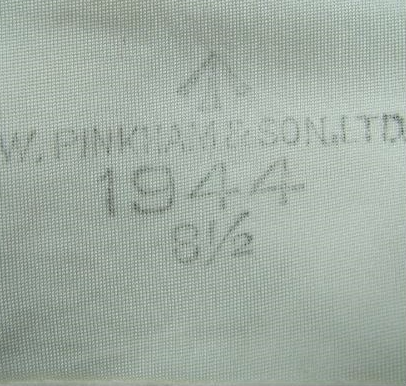 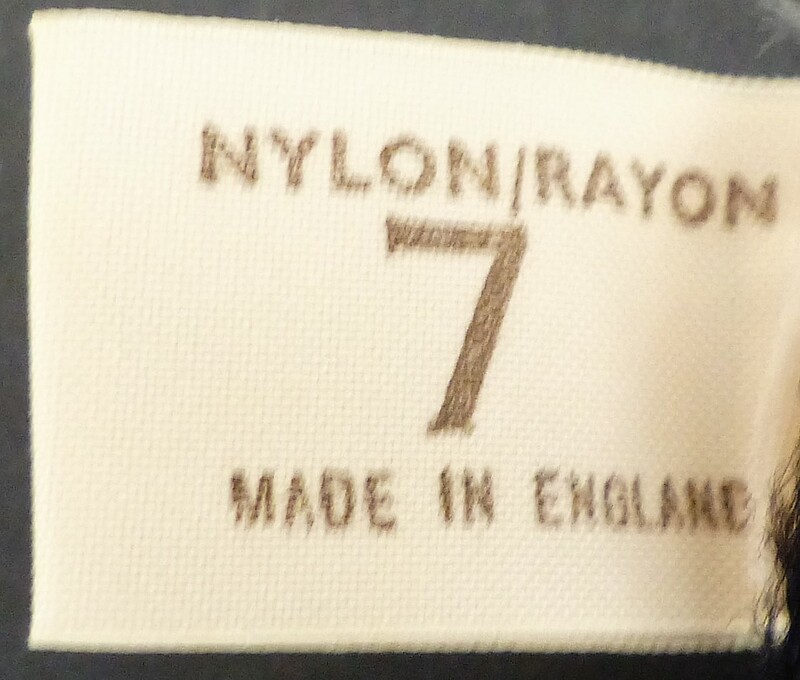 Typically the fabrics used were Bri-Nylon and Nylon/Rayon along with various cottons. 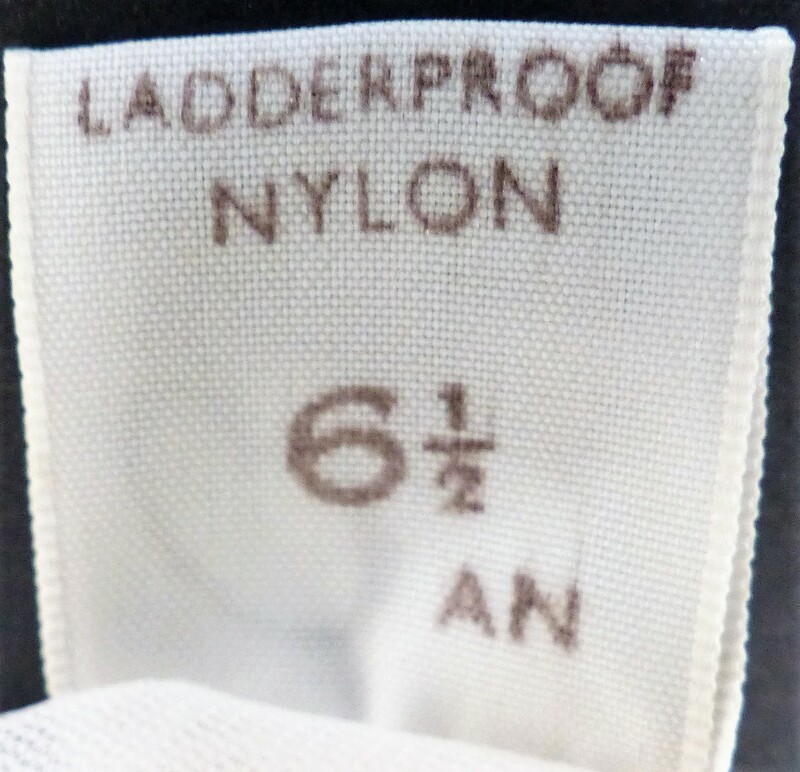 On the fine nylon gloves Ladderproof was also included. 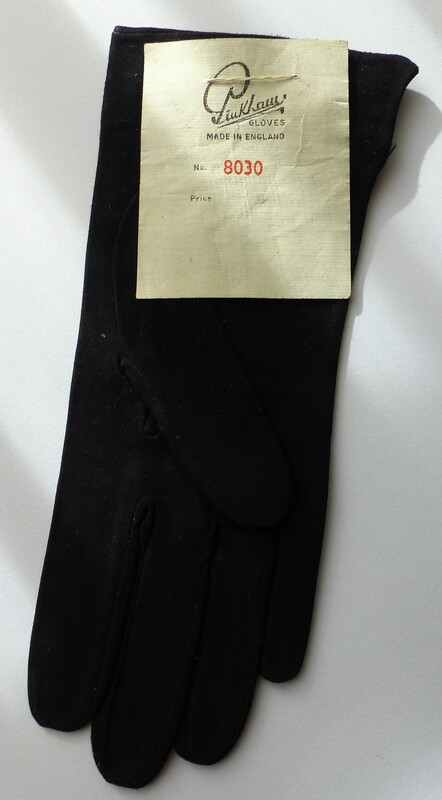 Also included with each pair of gloves was a small card label, some attached by a small thread and some secured by a folded tab attached to the cuff of the glove. 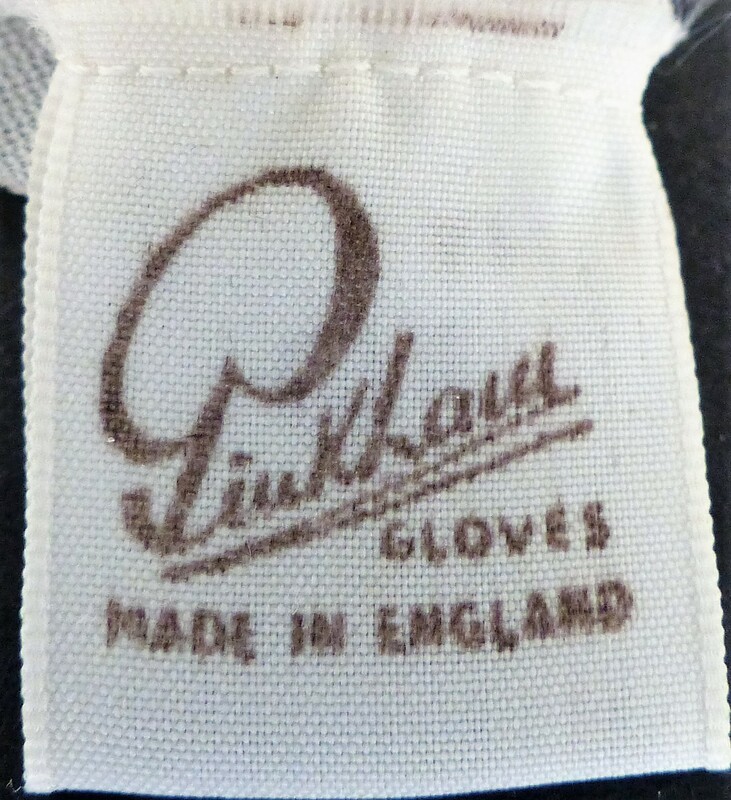 The labels contained information about how to look after the gloves and also the famous Pinkham guarantee. 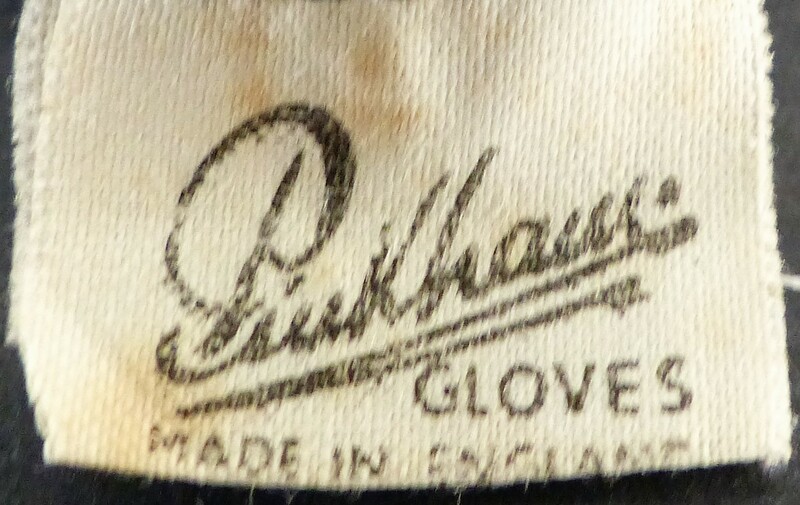 Unlined leather and some fabric gloves had a label onto the palm of one of the gloves. 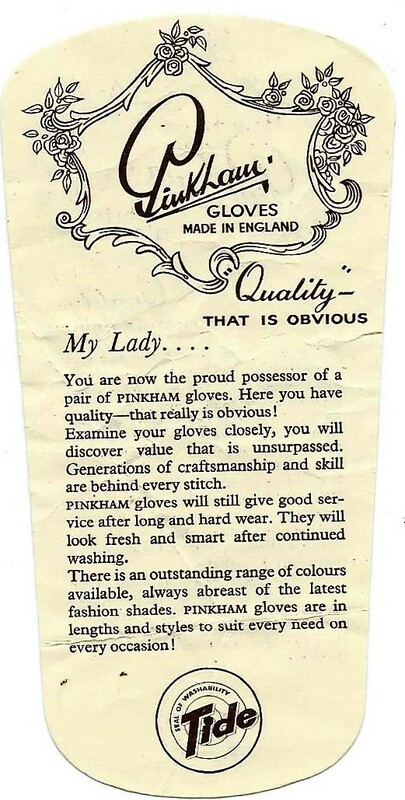 To ensure that the wearer got the best from their gloves also included with each pair of gloves were directions on how to keep them looking like new. 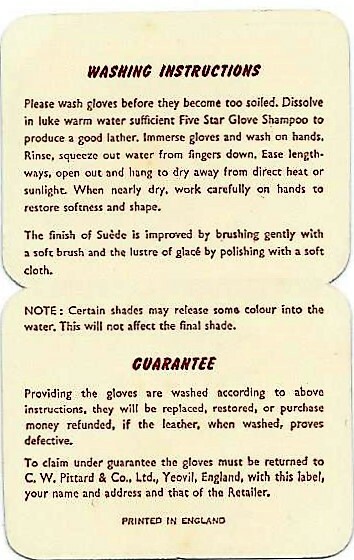 Here are examples of fabric and leather care instructions. 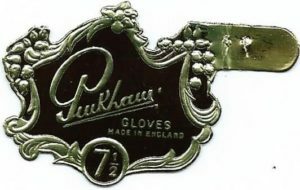 The completed gloves were packed in boxes of twelve ready for dispatch. 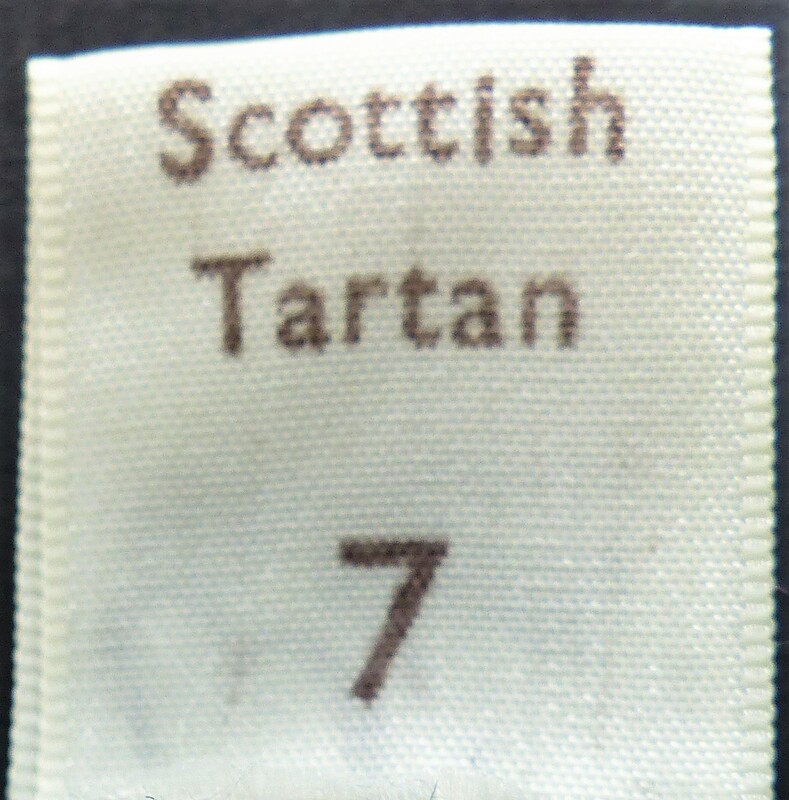 Each box had an outer label attached to it showing the style number, colour, size and and fabric type. 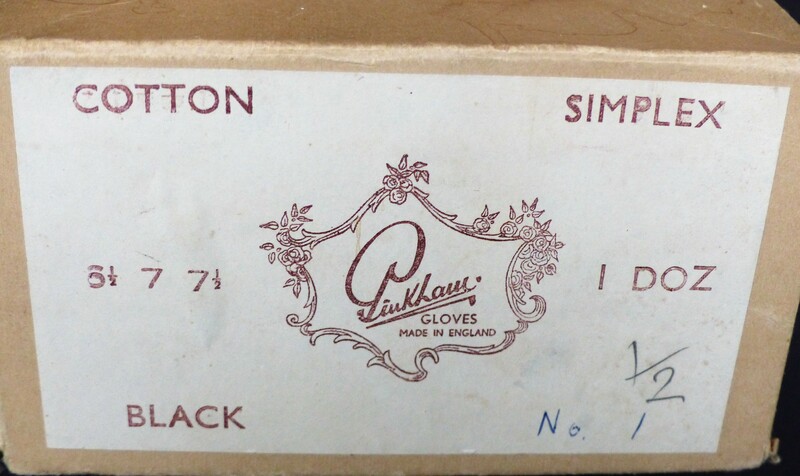 Gloves were packed in different types of boxes depending on the type of glove. 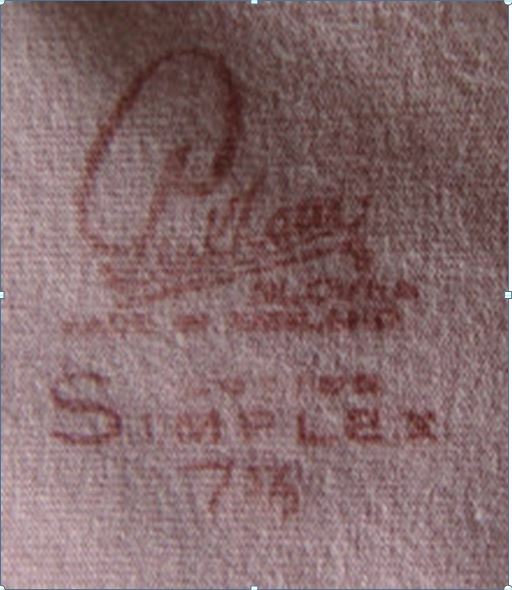 Expensive leather gloves were packed in cream cardboard boxes and sealed with a sticky circular ‘P’. 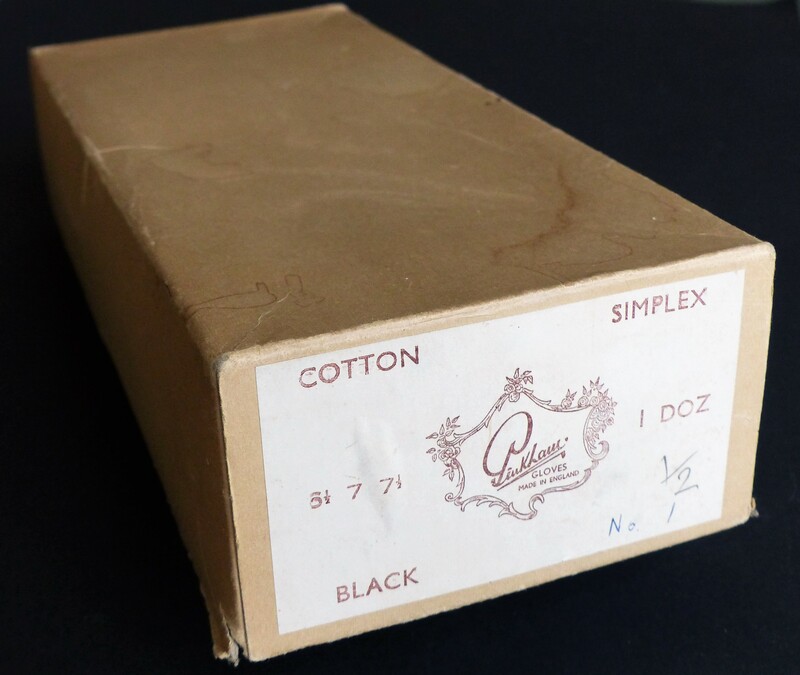 Below is a standard brown cardboard box that was used for cotton gloves in the late 1950s. 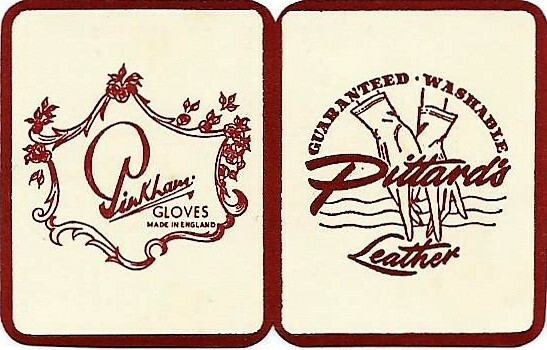 With two new ranges of gloves a year came an enormous task of making samples to show off to prospective buyers at exhibitions and at face to face meetings with retailers. 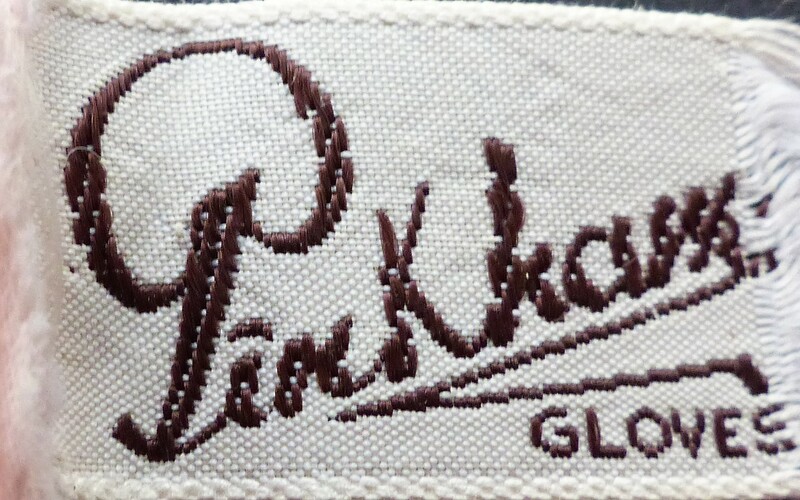 This part of the company's marketing was critical to the success of each season's ranges. 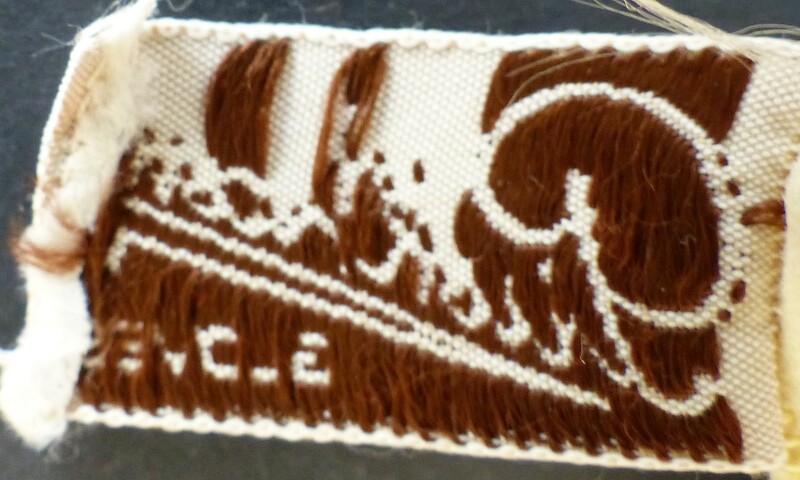 Not seen by the wearers a paper label was sewn onto the cuff of each sample glove. 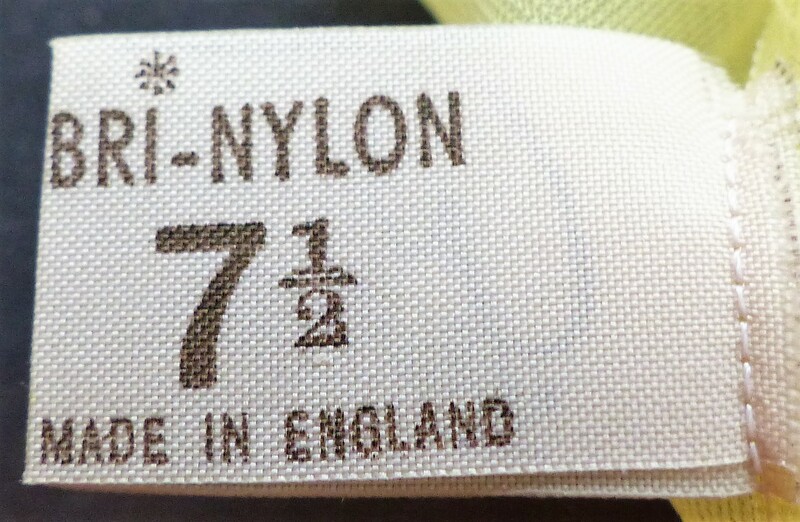 Dating from the 1960s below are a number of labels which indicate the style number, the colour availability and the material. 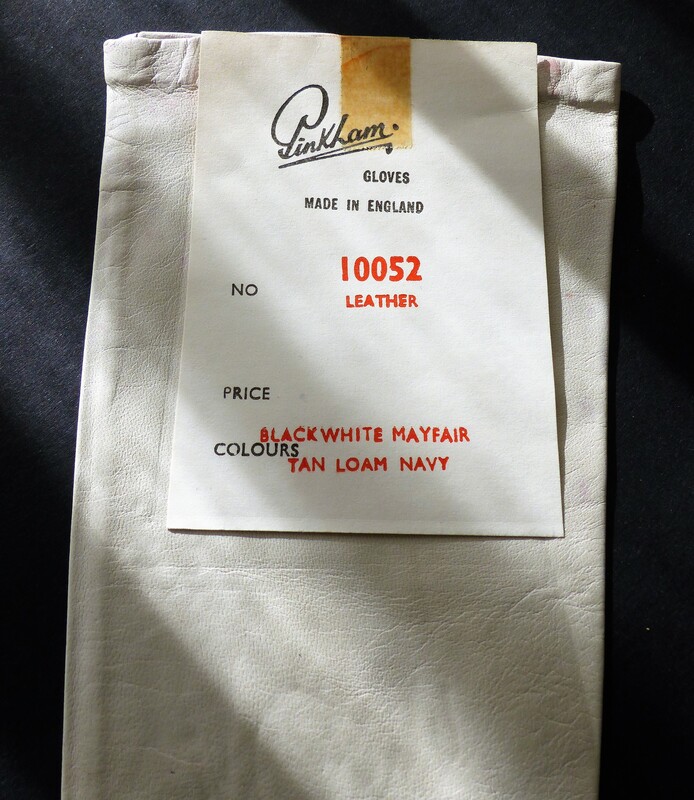 On one of the labels the price can be seen; 413 shillings or £20.65 for a dozen pairs of leather gloves. 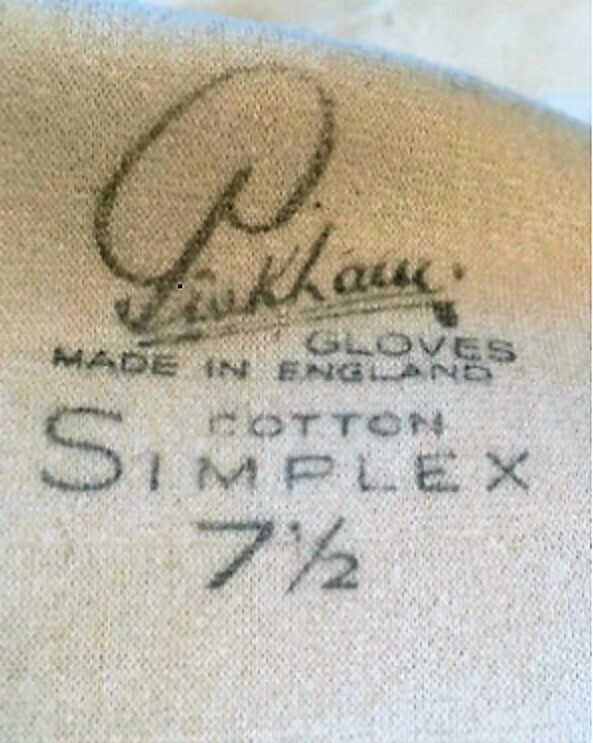 In 2017 one pair of fine English gloves costs upwards of £60.